I don’t care for the Phillies anymore, one day I realized they didn’t care about winning so why should I care about them. Of course, then the started to care and got really good. That’s irony. But still, despite Joe Carter ruining my 13th birthday, I still have fond memories of the ’93 team, who caught lightning in a bottle and managed to keep it there for 99% of the season. Hard to not be a fan of that bunch of misfits. I’m also a fan of oral histories, the facts might not be right but it’s fun hearing from the players, coaches, executives and the people that covered them years later, free of the burden of keeping their mouth shut about guys still playing. Philly Magazine has a pretty good one of that scrappy team. Sports are supposed to be fun. The ’93 Phillies were nothing but fun. Larry Andersen: Sometimes we’d spend the night in the clubhouse. We’d get up, strap ’em on, and go get ’em the next day. That is, if you could avoid Kruky playing wiffle ball until five in the morning. Mike Missanelli: Lenny Dykstra would walk around in his underwear with a cigarette, a cup of coffee and a bat. He’d ask some clubhouse guy to go out and throw BP. John Kruk: The bullpen guys ate a lot and watched interesting television in the video room. I went back there after a particularly bad at-bat and they had seven or eight TVs; they had everything on except our game. They had pizzas and cheesesteaks. That’s the way they were. Kevin Stocker, shortstop: Larry Andersen would be in the bullpen in the third inning completely covered in ketchup. Larry Andersen: I befriended a seven- or eight-year-old in the bullpen at Dodger Stadium. His dad was a police officer, and for my 40th birthday they sent me a can of Instant Hair. Mitch Williams might have gone a little overboard with it, but I went out there and took batting practice without a hat for probably the first time ever. People were asking if I’d gotten a wig. Mitch Williams: Every team needs some guys around to remind them the game is supposed to be fun. But maybe I gave him more hair than he needed. John Kruk: We could be goofy and do whatever we wanted up until five minutes before the game. And after the game, we could do whatever we wanted up until five minutes before the next game. 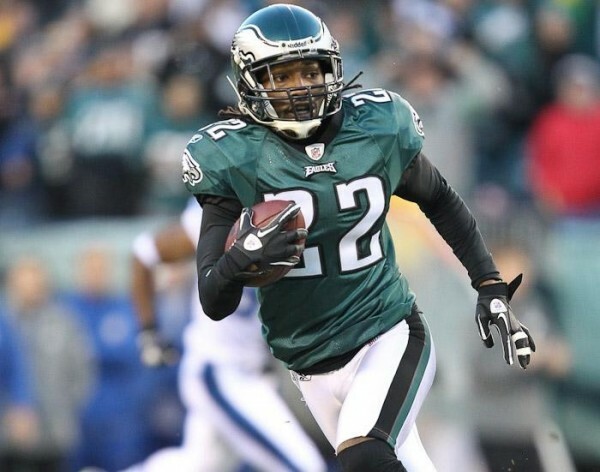 The flipside to Finnegan’s inconsistency would be Asante Samuel’s consistency. Samuel ranked first in both yards per pass and Success Rate in 2010, then third in both for 2011. He was also 2nd in yards after the catch in 2011, he was 3rd in 2010. 3rd in all those categories is a fitting ranking for Samuel, since that’s likely what he’ll be traded for should the Eagles foolishly decide to part ways with their best defender and one of the leaders in the locker room. Of course, they’ll just trade down from that pick anyway like they did in 2011, 2010 and 2009, so what does it matter what they get in return. At the end of the day they won’t have Samuel, and they won’t be a better team for it. So when Samuel is traded and the pass defense is struggling this season, you’ll know why. And it actually won’t be Juan Castillo’s fault. His points-to-teeth ratio is outstanding. I am not saying he deserves to win it. I am just saying he won’t even be an honorable mention. And that’s not right. Not Stephen Tulloch, not Curtis Lofton, not London Fletcher, not even Kirk Morrison or one of the Minnesota Hendersons. Dan Connor. He of one career sack, one forced fumble, one pass defensed. For his career. Those are the three tangible stats that Eagles linebackers have been unable to put up the past few years, and Connor is somehow even worse than the current crop of LBs. Part of his lack of production can be explained through injuries. 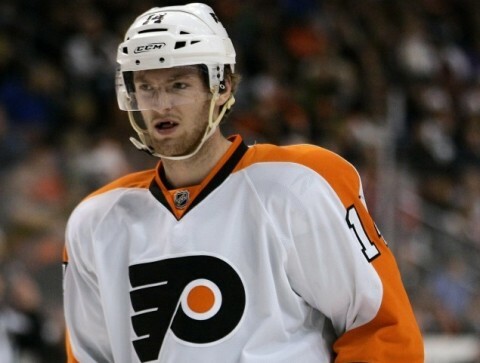 He’s been in the league 4 years and spent 2 of them on IR, with a torn ACL in 2008 and a hip injury in 2010. But in the 19 games he started the past two seasons (none prior) he’s been as “productive” as Moise Fokou. Obviously this is not the kind of player the Eagles need, but lackluster production and injury histories have never stopped this team from signing or drafting a guy. Connor isn’t a legitimate starter, and at 26 he isn’t likely to become one. He’s another Mark Simoneau, but with some size.